Q. Zotero is not importing PDFs from the databases, why not? 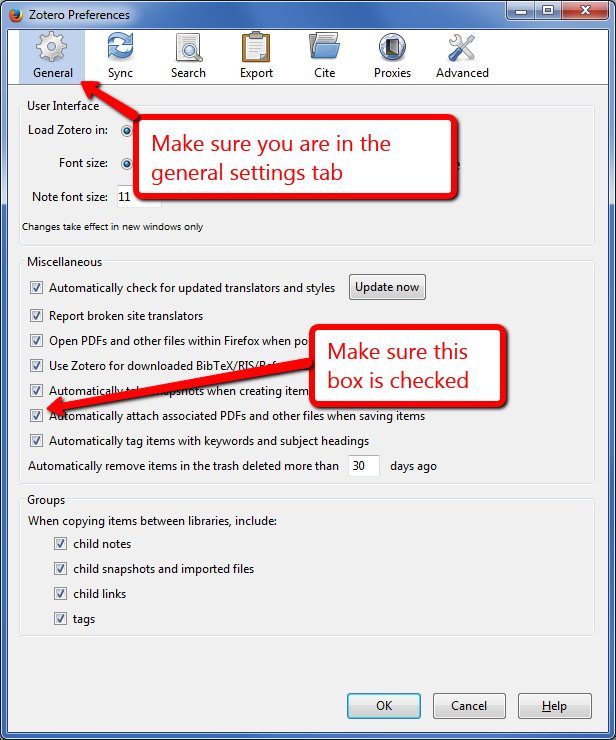 How do I change the settings so that Zotero imports PDFs from databases? Why can't Zotero import PDFs when the "Find it!" button shows for a source in a database? 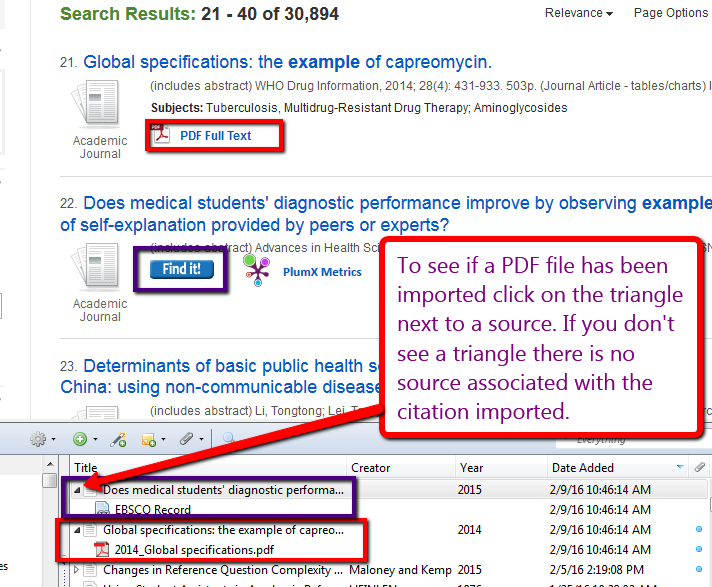 There are a two things that might be causing the problem you are encountering: either the PDFs are not directly available via the database you are searching (this is very common with PsychINFO and Web of Science) and therefore cannot be imported into Zotero or your Zotero preferences are set to not automatically import PDFs. PDF availability issue: Keep in mind that Zotero will only bring in PDFs when the PDF is directly available in a database. In the example in the image below there are two articles from a database, one that includes the “PDF Full Text” and the other with a “Find it!” button. 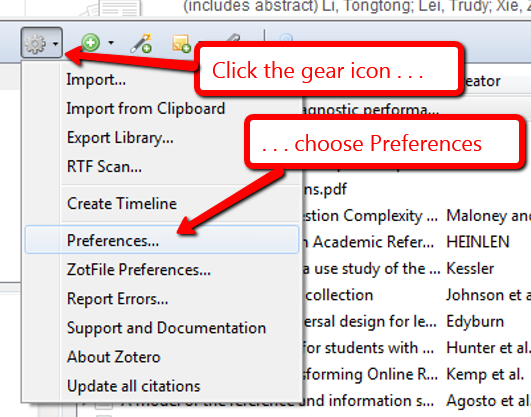 To get the PDF for the “Find it!” source into Zotero you need to first click on the “Find it!” button, click on the link to access the full text, if that is available, then import it into Zotero once you have either a PDF link or are viewing the source (keep in mind that some sources will not immediately be available—though we can usually get them for you in about 13 hours via inter-library loan).